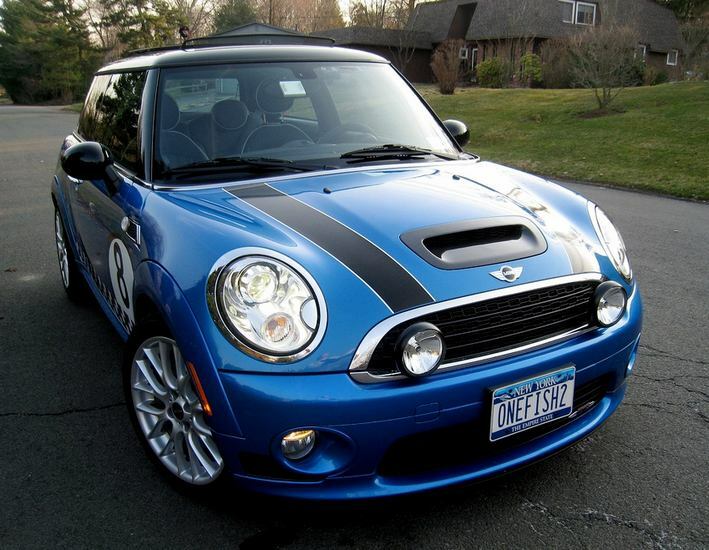 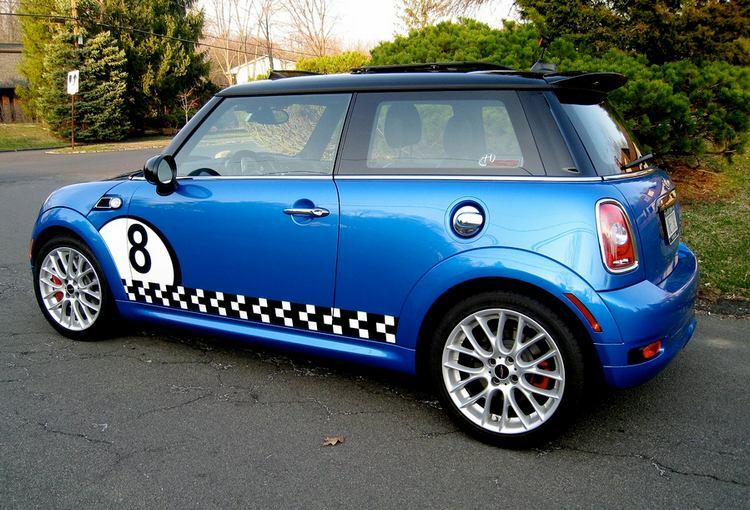 Additional Info: Improved suspension and larger brakes over the Cooper S, new spoilers and exterior trim and of course more power. 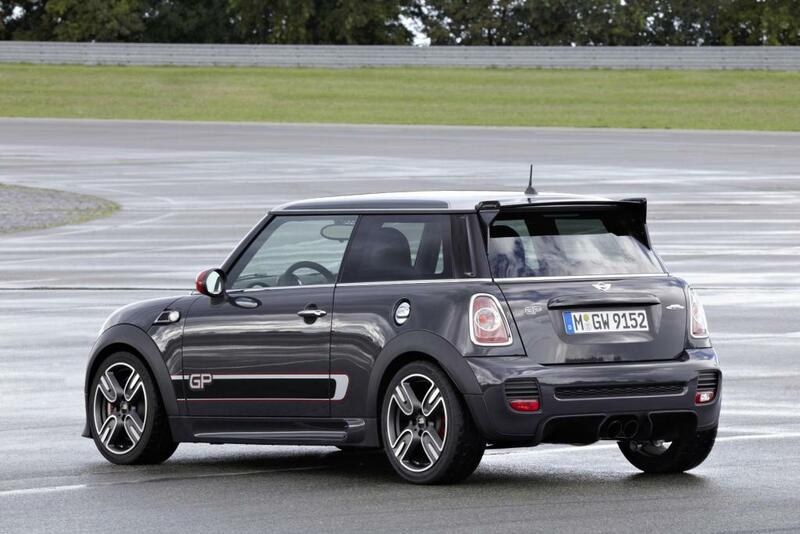 Also Has EBD and ESC. 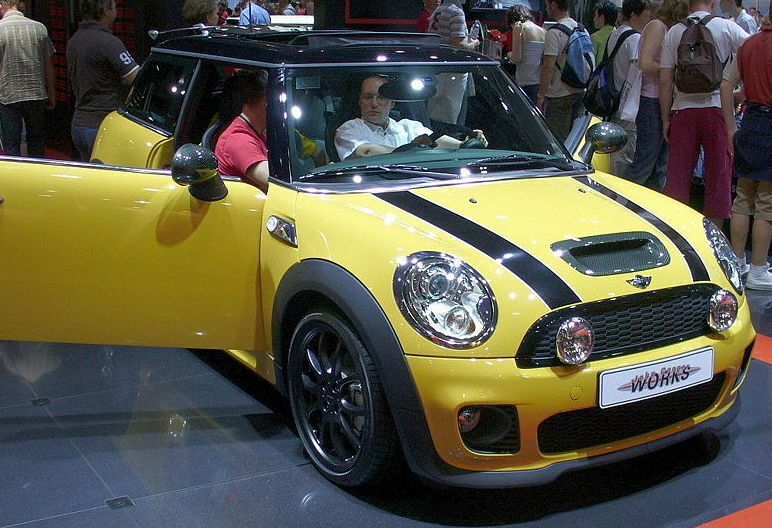 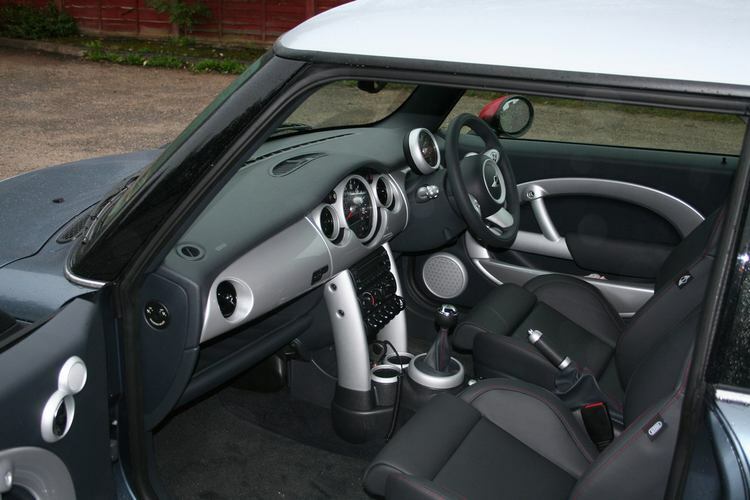 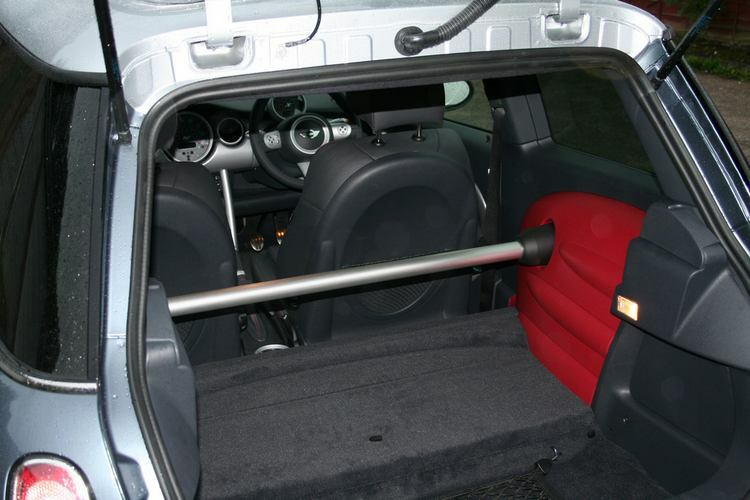 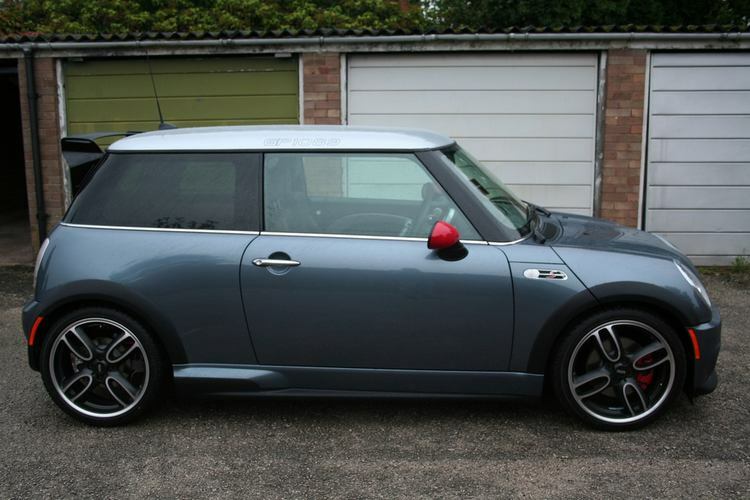 Additional Info: The Mini works GP has reduced weight by removing the rear seats, rear wash wipe, reduced sound deadening and lighter wheels, amongst others. 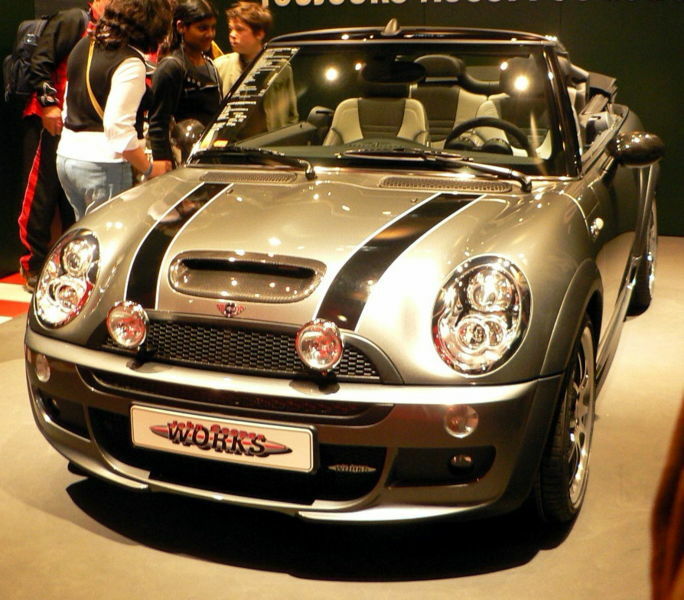 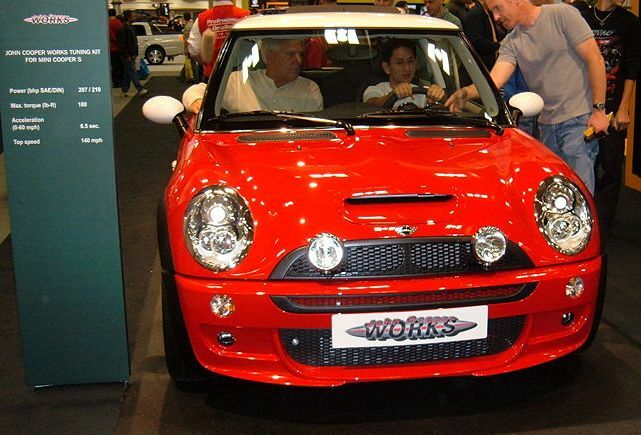 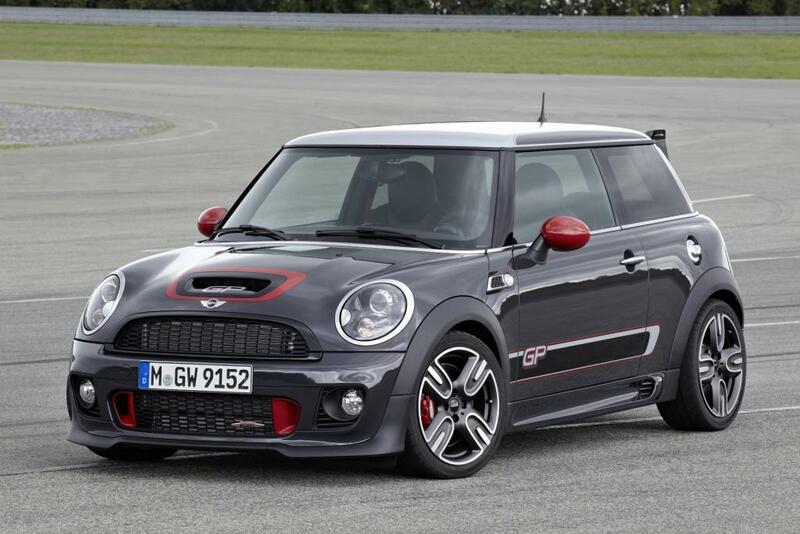 The result is a 90lbs saving over the Cooper S. The works GP also has better brakes, smoother underbody and a body kit package, as well as engine modifications upping the power to 218bhp. 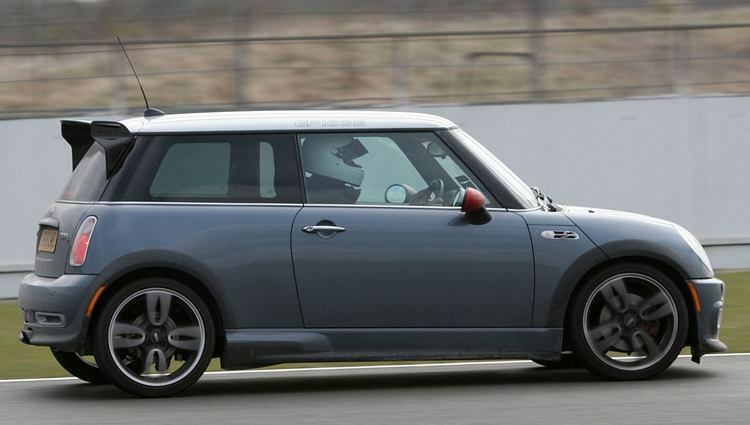 Additional Info: Supercharger now replaced by a turbocharger. 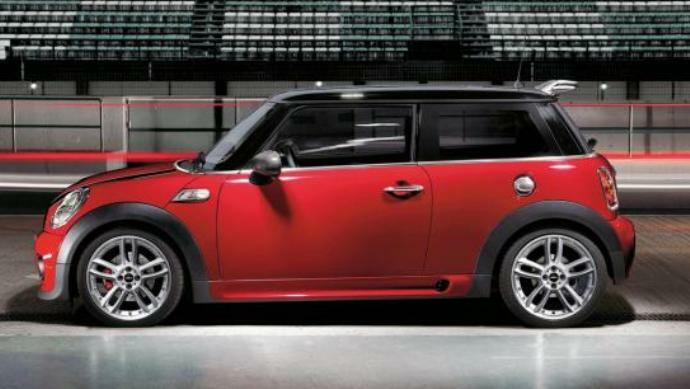 Uses BMW’s Effective Dynamic Fuel saving system, DSC and DTC. 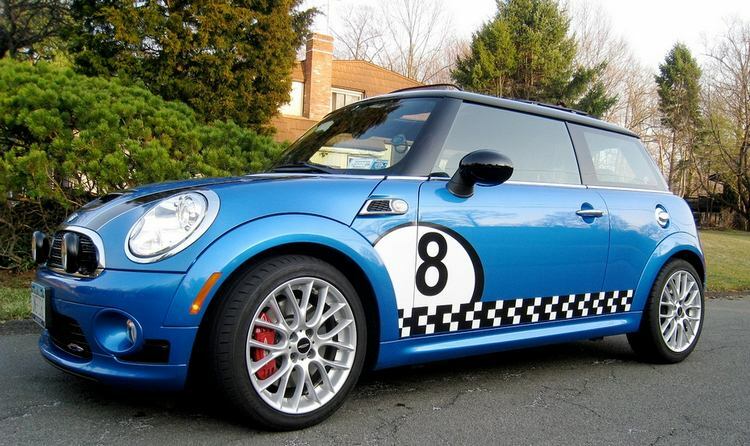 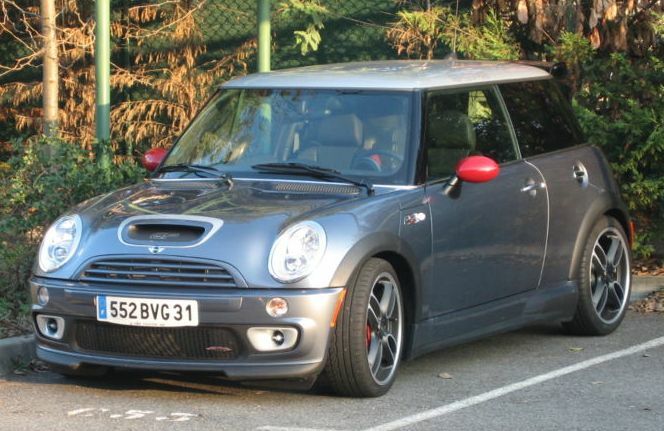 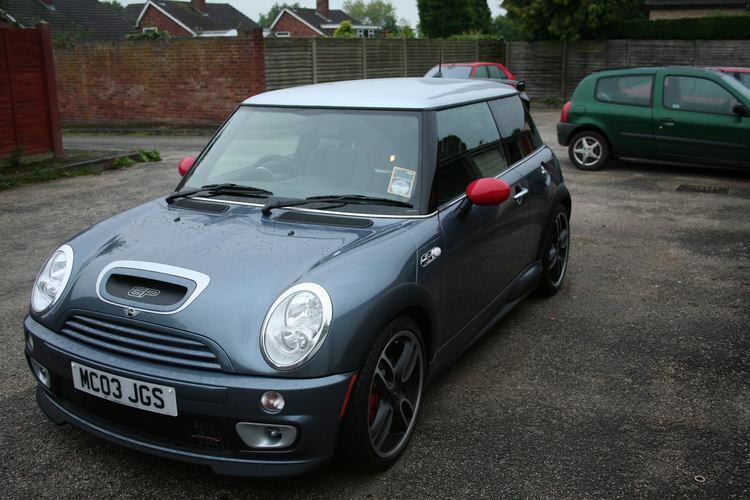 Note: In 2007 an R56 optional “kit” for the standard Cooper S was offered taking power upto 192bhp and giving a 0-60 time of 6.8 secs. 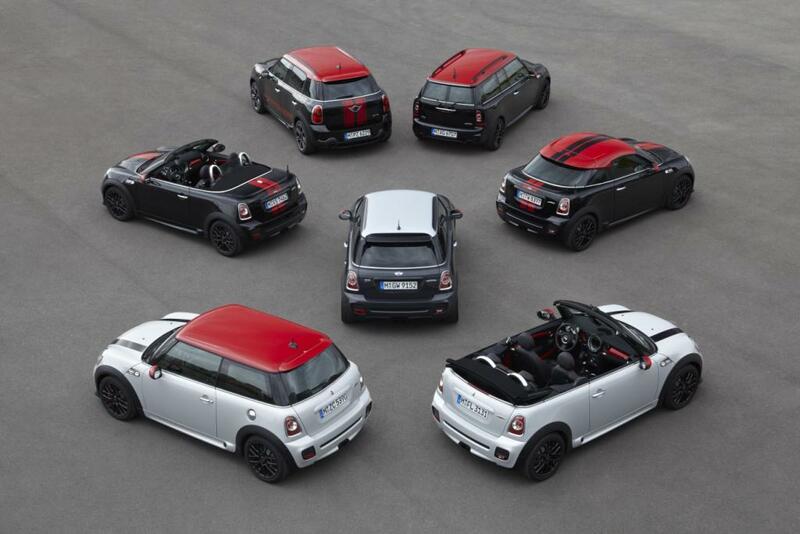 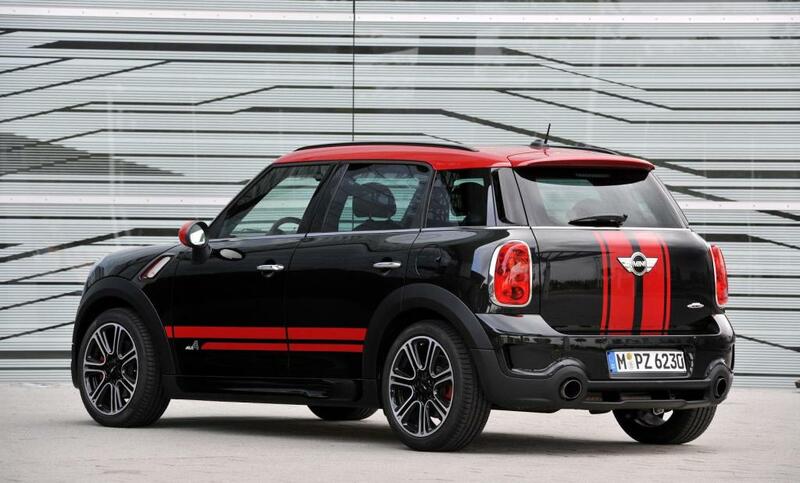 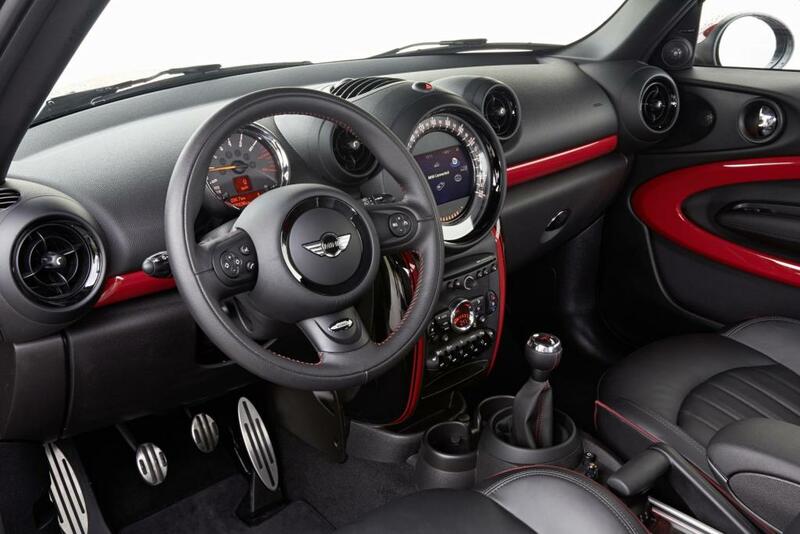 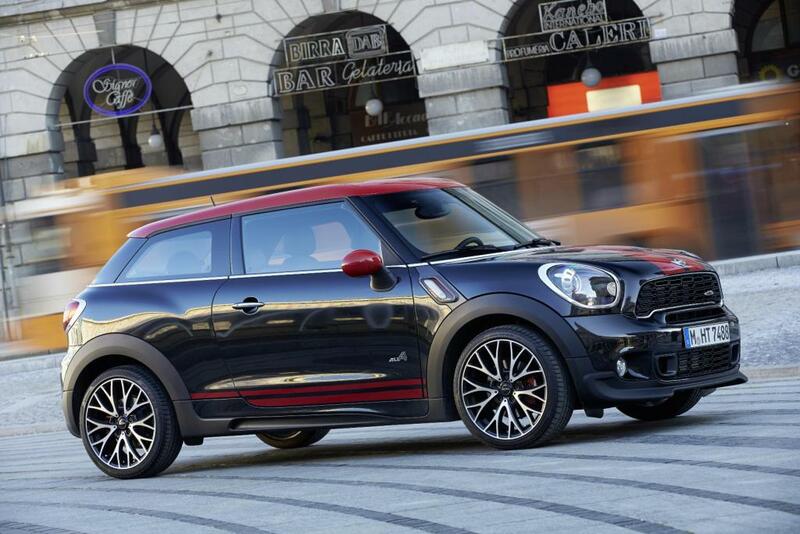 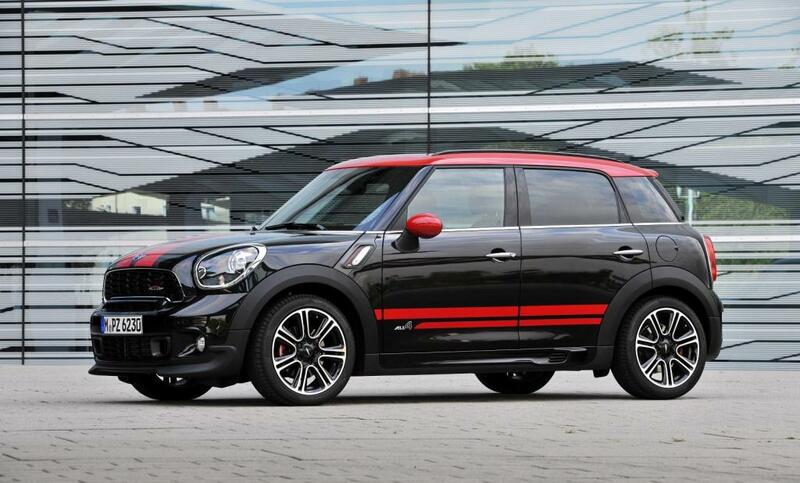 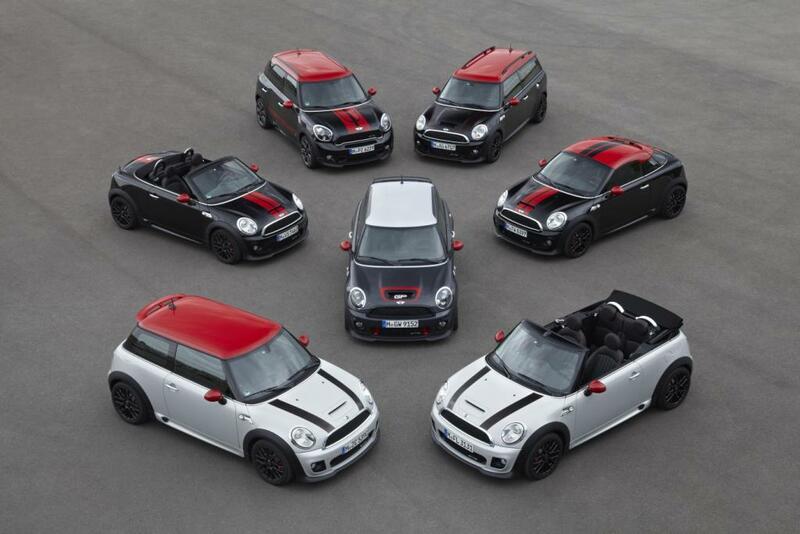 2015-2018 JCW has 227bhp and gets to 60 in 6.1 seconds.